It used to be that if you liked a band, you bought their CD, maybe went to their concert and that was it. These days there are so many more ways to get involved with the musicians you look up to because our world is becoming more connected. And with that, the possibilities for taking “fandom” to the next level are seemingly endless. Perhaps the biggest reason that the gap between artist and fan is being so bridged is that these days we have access to every aspect of their lives online. While the media reports on the biggest bands, social media allows us an insight into bands and their members’ lives, no matter the size. In fact, social media has revolutionized the band-to-fan relationship. Fans are given the opportunity to read their favorite artists’ opinions on everything from food to politics on Twitter, while watching their daily stories on Instagram. The really lucky ones can even get a band member to reply to them or to look at work they’ve done that was inspired by the artists – for example, covered tracks or artwork. It’s not just social media which has taken fandom to new heights. These days, lots of different experiences to do with music can easily be enjoyed online. Take gaming as one example. You can play a music related slotmachine, such as the Guns n Roses slot found on Mr Green. Set to a soundtrack of the music they love, fans can “relive” that generation of music while combining it with the thrill of the game itself. Featuring classics such as “Sweet Child of Mine” and “Welcome to the Jungle”, it’s a real draw for admirers of the band. Fans can also find join up to fan clubs, whether official or not. They can meet like-minded individuals on forums and even be privy to exclusive opportunities, such as VIP packages. Going to a music festival has been a staple of the average music lover’s life for decades, but the concept has recently stepped up its game. Instead of standing in a field in the pouring rain, there are now music festival vacations, to combine travel and music into one. 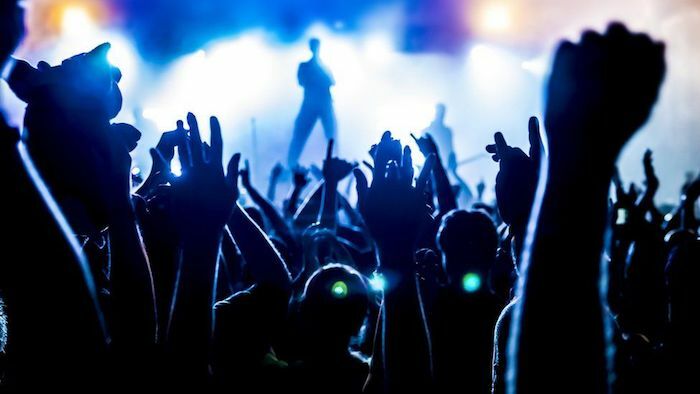 Leading the way in the industry is the company Sixthman, who host music festivals at sea with bands, artists and DJs from a range of exciting genres. Ah, the good old Internet. If it seems like you really can buy everything these days, it’s because you probably can. Thanks to the likes of Etsy stores and online wholesalers, band merch is getting more and more creative, connecting fans more and more to the music that they love. Want a phone case embossed with your favorite band’s faces? You got it. Or perhaps you’d rather buy some records that have been turned into clocks. These days, you’re able to easily find it, with just a few clicks. Liking a band is a wholly immersive experience in today’s world. We’re excited to see how far it goes next.